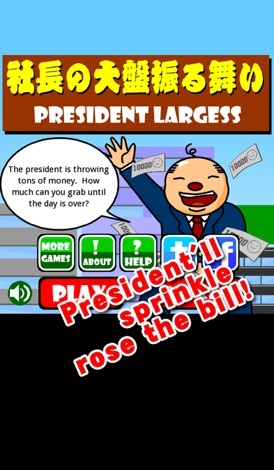 "President Largess - Grab the Money" is a simple game you play to kill time while grabbing money by tapping on the bills thrown by the president. This is the real money game!?! Grab as much as you can and become a billionaire! "OK, I'm throwing money at you now! Grab and take as much as you want!" The president is throwing tons of money. How much can you grab until the day is over? I'd love to work at a company like this. - Tap on a bill flying around. - Tap on the wallet at the bottom of the screen to keep the bill you just grabbed in the wallet. 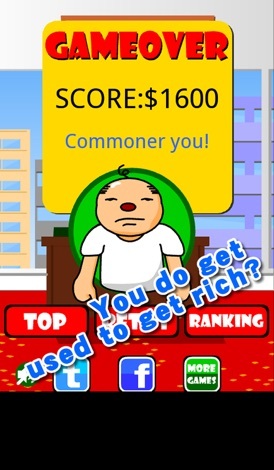 - Find out your ranking and compete with the users around the world. - Time limit is 30 seconds. 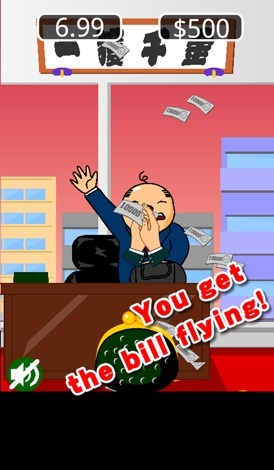 - One bill is counted as 10,000 yen. 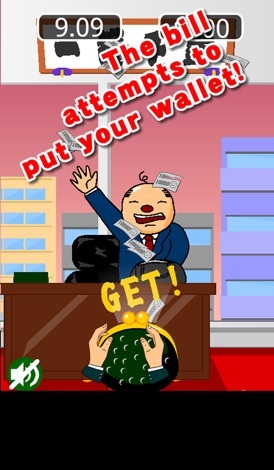 - President will give you a message depending on the amount of money you grabbed.